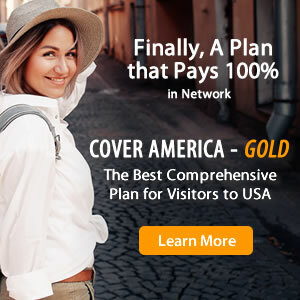 TravMed Choice Insurance provides comprehensive travel medical coverage to foreign nationals traveling to the USA. After the deductible is satisfied, the plan pays 80% of the first $5,000, then 100% after that up to the policy maximum. Travel medical protection offered by TravMed Choice includes outpatient treatment, emergency services, emergency medical evacuation, and more.